Should the Red Sox give Kendrys Morales a look? If Mike Napoli decides to test the free agent market it leaves a gaping hole at the first base position and in the lineup. In an ideal world, Napoli would return and sign a 2 or 3 year deal with the Red Sox, but this is still up in the air. With his decision not quite being known by the organization it may be time to look at potential replacements for Napoli. Kendrys Morales could be a good fit in the Red Sox organization. While Morales was injured in 2010 with the Los Angeles Angels and missed the remainder of that season and the next he came back in 2012 and has had 2 good years since. Last year in Seattle, Morales played in 31 games at first base and 126 games as the designated hitter. Last season he hit .277 with 80 RBI's and 23 home runs. Morales is a switch hitter and can provide variety in the Red Sox lineup. 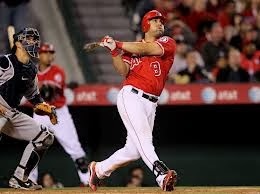 While Kendry Morales is no Mike Napoli he should get a look by the Red Sox organization. What do you think about Morales? Would he fit in well in the Boston lineup? At 30 years old and his previous injury to his leg, would you think anything more than a 3 year contract is a good idea for Morales? How much money would you be okay with the organization spending trying to get Morales? Leave your answer in the comments section below or tell me on twitter.